Cherkasy oblast. Credit: Niels Ackerman, Lundi13/NECU, 2016. 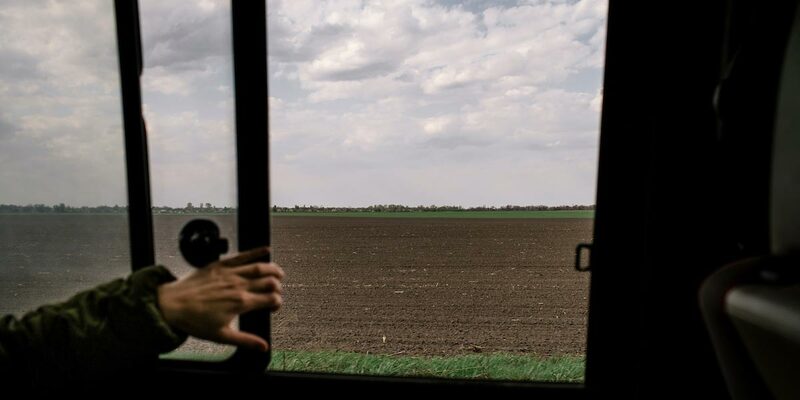 The trip south from Kyiv to the villages of Cherkasy oblast takes several hours by bus over often bumpy roads, but I don’t mind — the idyllic countryside and expansive views of chernozem, the black soil that Ukraine is famous for, provides some respite from the concrete and hustle of the capital. 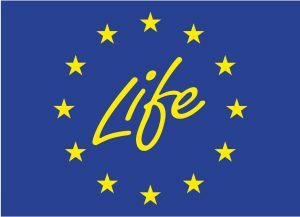 Indeed, the country’s 30 million hectares of fertile and high-yielding soil is the reason why Ukraine is known as “the breadbasket of Europe”, and right now agriculture is booming. The Maidan protests of 2014 ushered in an era of government reforms that have been a boon to agriculture, marked by a free trade agreement with the EU and a loan of $17 billion from the International Monetary Fund to support further reforms. The agricultural sector’s resilience is evidenced by the fact that, while most of the economy reeled after the Russian invasion of the Donbas region, this was the only sector to record growth in 2014. The World Bank has suggested that Ukraine offers a “big chance” to push for further deregulation and open up the country’s land resources to the agribusiness industry. At present, a dozen or so large agribusiness holdings own a fifth of the country’s most fertile land. While a moratorium on land sales is in place to prevent further consolidation of agricultural ownership, pressure from corporations and international investors is likely to mean that the ban will be lifted. This is why I travel so frequently to Cherkasy. People here have long made a living as smallholding farmers, but the intensification of large-scale agribusiness is threatening their very way of life. 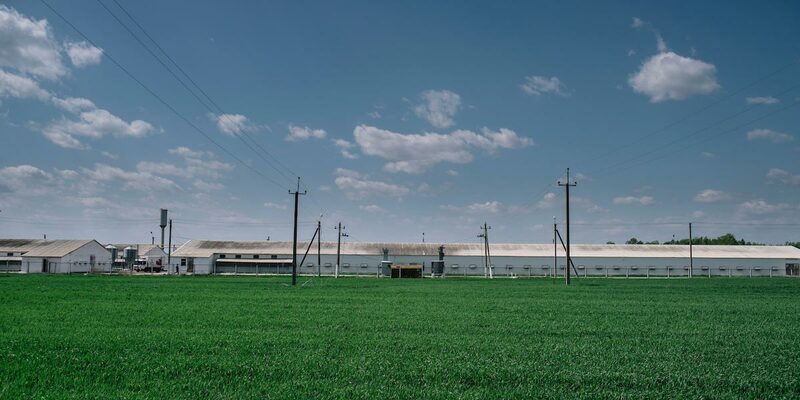 One threat to Cherkasy oblast is the industrial poultry farms of Yuriy Kosiuk, the billionaire chief executive of Myronivsky Hliboproduct (MHP). MHP, the country’s largest agricultural conglomerate, enjoys more than a 50% share of Ukraine’s domestic market for poultry, and is the leading exporter of Ukrainian poultry products. MHP has received more than half a billion euros worth of development investments for its expansion from the European Bank for Reconstruction and Development, the World Bank’s International Finance Corporation and the European Investment Bank. This means that the company must adhere to the international standards established in within those respective bank policies. But instead the poultry producers association, together with other associations of agricultural producers, successfully lobbied president Petro Poroshenko to veto the new law on Environmental Impact Assessment, which had to be adopted by Ukraine in 2016 as part of conditions to the Association Agreement with the EU. The company enjoys generous state subsidies and conditions, too. MHP has been among the VAT refund big beneficiaries until 2017, though due to conditions imposed by the IMF, the scheme switched to direct state subsidies. MHP will qualify for around one billion UAH (around $38m) out of four billion UAH for all agricultural producers. These conditions and privileges contradict Ukraine’s and the Cherkasy region’s agriculture and rural policies and development plans — where the development of small- and medium-sized enterprises is a claimed priority. The support from international financiers and the state budget enables MHP’s aggressive plans for expansion throughout Ukraine. The plans for new poultry production facilities in Cherkasy oblast bring me here to support locals — they are fighting for their rights to a safe and clean environment, and a lifestyle based on small household farming. People have appealed to the company, to local and national authorities, to the President Poroshenko, but instead of dialogue and consultations they were faced with neglect, intimidation and retaliation. The relationship between MHP’s subsidiary Peremoha Nova and the community in Chyhyryn, however, has not always been so confrontational. When the company first arrived in Chyhyryn in 2015, local attitudes towards MHP were neutral. The project MHP proposed for Chyhyryn focused on expanding its parent poultry flock facilities, including brigades for 100,000 adult chickens, three brigades for 110,000 young repair chickens, and one brigade for roosters. The project would bring about one million chickens in total to the area. Credit: Niels Ackerman, Lundi13/NECU, 2016. But due, in part, to the way in which the project was first communicated to the community, Chyhyryn residents grew weary of MHP. The company initially received tacit co-operation from the village council chairwoman to negotiate individually with landowners without community level consultations. The company secured lease contracts for a period of 49 years — essentially to circumvent the federal moratorium on any further land sales — to receive the land necessary for its expansion. The lease period and the payments made up front to the landowners essentially amounted to selling local lands to MHP, thus dividing the community between people who cashed in through the settlements and people in favour of remaining in control of their livelihoods. The public meetings and discussions about the expansion that MHP was obliged to organised were plagued with controversy. Attempts to prevent community members from freely participating and the physical attacks on others who tried to enter consultations happened in several locations. When the company released a preliminary environmental assessment for consultation in late 2016, there was substantiated feedback from the community not to continue with the project. For its part, MHP seemed to have little interest in what residents had to say — it didn’t bother to collect the feedback left at the administration offices for more than a month afterwards. The failure of MHP to engage communities in meaningful consultations has been a concern to its international financiers. In May 2016, the EBRD published a monitoring assessment summary report that concluded that “additional effort needs to be made with regards to appropriate information disclosure, transparency of information and also ensuring grievances are responded to and managed appropriately, including any grievances which are not formally submitted using the company’s Grievance Form”. At that time, the bank made recommendations for improvement of MHP’s performance with regards to transparent and meaningful stakeholder engagement and consultation. A year later, real progress is hard to detect, so this time around the IFC has hired consultants to help the company deal with stakeholder engagement. In spite of the lack of feedback on the environmental assessment, the MHP expansion plans pose a number of problems for the residents of Chyhyryn. A sanitary protection zone has not been established in accordance with Ukrainian law, meaning that people could still be located within areas exposed to excessive levels of pollution from poultry facilities. Nor does the assessment make clear the potential impacts on potable water in Chyhyryn. The amounts of wastewater that will need purification and treatment is another area which the assessment fails to cover. In addition, there is still a lack of clarity about how emissions from the brigades will be attended to, so air pollution should cause concern for locals. As of today, local farmers rented the lands on which MHP (Peremoha Nova) relies on. There is a threat that the arrival of a big player with long-term contracts of 49 years for land leases will have a negative impact on competition between businesses and will lead to economic displacement of small farmers from these lands. While the future of MHP’s expansion in Chyhyryn remains in limbo, another community in Cherkasy oblast provides a cautionary tale. Before MHP pursued its plans in Chyhyryn, the company had tried for several years to expand its operations in the village of Moshny, 100km northwest of Chyhyryn. But residents there put up a fierce resistance and are now in frequent contact with those in Chyhyryn to support their struggles. In November 2014, the managing director of Peremoga Nova, a subsidiary of MHP, informed the Moshny village council that it planned to build 144 poultry rearing houses at the edge of the village. What happened next in Moshny has echoes with the situation in Chyhyryn. While the managing director of MHP assured villagers that the expansion project would not proceed without broad community support, the company began making secret deals with residents to lease their lands so that construction could move ahead. Ultimately, this approach was unsuccessful and over the next few months, instances of harassment, threats and pressures to lease lands continued. Concerns about the environmental impacts also share a number of similarities to the Chyhyryn project, including issues related to the protection of drinking water and the assurance of a sanitary zone around the facilities. One of the leading figures of resistance in Moshny is Kateryna Onopriienko, who has been a frequent traveller to Chyhyryn and supporter of their movement. She has been a frequent target of harassment and intimidation. As a former member of the local rayon council, Onopriienko suffered attacks on her integrity — for instance, when leaflets were distributed designed to discredit her in the eyes of the community. If there is a silver lining in MHP’s push into Cherkasy, it is the possibility for interaction between communities like Chyhyryh and Moshny and the promise it holds for strengthening their struggles through solidarity. To be an activist like Kateryna Onopriienko, you don’t just need to be brave. You need to understand the specific dynamics of rural living and the pressures you’re likely to face, including physical assaults and beatings. What this means is that people involved in the resistance to MHP provide support in a variety of ways to their counterparts. Activists in Chyhyryn and Moshny regularly communicate by phone, attend joint protest rallies at state administration buildings or local councils and share knowledge about the most effective methods of appealing their case to decision-makers and MHP officials alike. 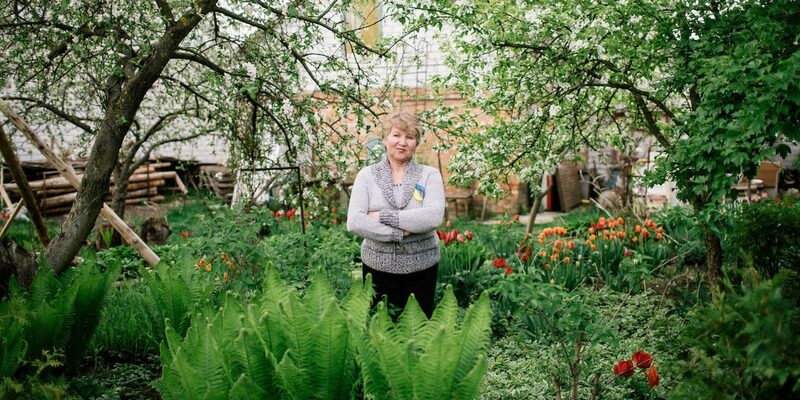 Through continued support via trainings and campaign tactics, the villagers have been empowered to continue their fight against Ukraine’s largest agricultural conglomerate. But people in Cherkasy aren’t only engaged in resistance, they are also looking for alternatives. Tourism can play a key role in the the development of these rural areas, so that people learn to value their lands as an asset to build on in the long term. This would also help defeat some of the short-termism offered by the mirage of employment at the industrial poultry facilities (where the process automatisation reaches 85%) or the quick cashout of a one-time payment for land. I will continue to visit and support the communities in Cherkasy. In the future, I hope these visits will be for the development of their own, self-determined initiatives.